This Sherbet Punch is one of my favorites and one that my mother made for many occasions throughout my childhood. 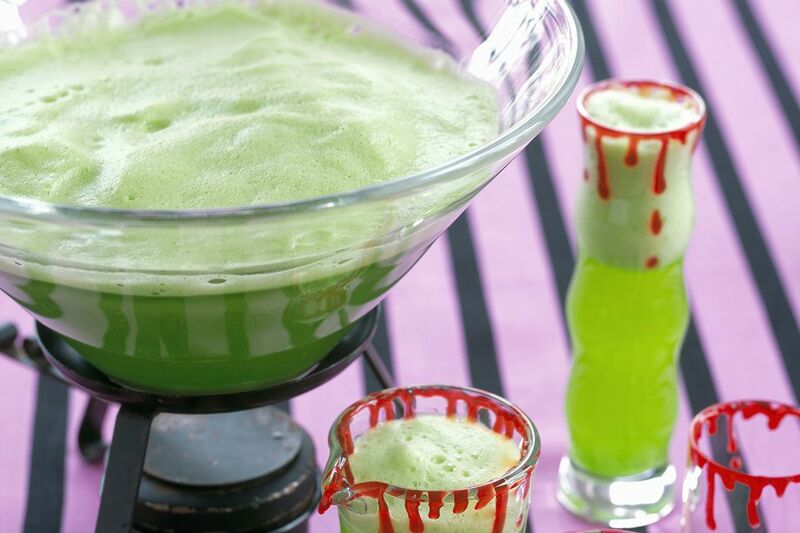 It is also called Wedding Punch and it has a brilliant green color that can suit a variety of events, including Halloween, showers, graduations or anytime you need an easy, fun punch to satisfy a crowd. There are many great things about this punch: kids love it, it is easy and it has a great look. Beyond the color, the reaction of the ginger ale with the sherbet creates a bubbling foam that tops it off perfectly. If you like, add green food coloring to enhance the color and be sure to have ice on hand for refills (blocks or ice rings work perfectly). Soften sherbet into the mix of fruit juices and water. Pour over a large block of ice in punch bowl. Top with ginger ale just before serving.